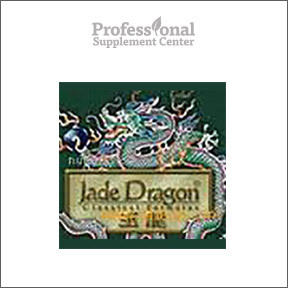 Professional Supplement Center now carries Jade Dragon® Classical Formulas, a line of classical Chinese remedies based on centuries old Traditional Chinese Medicine. Founded in California in 1979, these premium herbal formulas are presented in their traditional teapill form and dosage, as they have been for thousands of years. Jade Dragon® Classical Formulas are made with herbs gathered from the fields and forests of China and are manufactured in an Australian certified GMP facility in accordance with international standards of quality and safety. All formulas are tested at each level of production and undergo additional independent laboratory testing in the U.S. to ensure consistency, quality, purity and safety. Testing of every batch ensures that products are free of heavy metals, microbacteria and pesticide residues. Jade Screen – As a traditional medicine for Qi deficiency, this tonifying formula is intended to be used during cold season and is especially suitable for those who often succumb to colds or flu due to stress or fatigue. This formula contains traditional Chinese herbs and supportive botanicals, such as astragalus and rhizomes. Traveler’s Aid – This quick acting formula provides temporary relief of abdominal pain and distress caused by travel related stressors, such as climate, food or water. Specific Chinese herbs and botanicals help to resolve toxins and relieve dysentery. Golden Cabinet Kidney – This formula supports kidney yin and yang balance, tonifies kidney Qi and helps promote regular urination. Additionally, the formula may be used for kidney yang deficiency patterns, frequent urination and cold limbs. Contains Chinese herbs and botanicals. Emperor’s Heart Yin – This traditional formula for heart yin deficiency is designed to nourish heart blood, tonify heart and kidney yin and clear deficiency heat. Emperor’s Heart Yin helps to cool blood heat and calm restlessness, insomnia and mental exhaustion, all signs of heart yin fire. Contains Chinese herbs and botanicals, including licorice root, rhizomes and curcuma root. Joint Invigorator – This formula moves blood and Qi to aid healing of minor injuries such as traumatic injury pain, swelling, sprains, strains and bruises. Contains Chinese herbs and botanicals. This entry was posted in Home and tagged Emperor's Heart Yin, Golden Cabinet Kidney, Jade Dragon, Jade Dragon Classical Formulas, Jade Screen, Joint Invigorator, Professional Supplement Center, Traveler's Aid, Vitamins and supplements, www.professionalsupplementcenter.com. Bookmark the permalink.